Whether you’re a primary or secondary school, a college or university, if you would like to improve the fitness, discipline and respect of your students, as well as providing them with a very valuable life lesson to suit todays society, we have options to suit you. We specialise in after school and enrichment classes, we provide PPA cover and our coaches can also sign off Duke of Edinburgh awards. 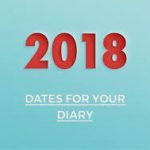 You will have no doubt heard of all the run of the mill team building events such as paint balling, go karting and bowling, but how about something completely different? Motivate your staff with Ju-Jitsu! Whether we come to you or you come to us, we will provide your staff with a course consisting of exercise, pad work and self-defence techniques, which in today’s society could prove to be a very valuable life lesson. It could also be used as a stepping stone to making a life changing lifestyle change. Want to get fit? Want to learn self-defence? Want to have fun? If you answered yes to one of the above questions then visit our clubs page to find a class close to you and give it a try today, the first adult class is free! Just want fitness? 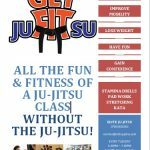 We do that too, why not join our popular ‘GET juFITsu’ class timetable, all the fun, games and exercise of ju-jitsu, without the ju-jitsu! Want to catch up on what’s been happening lately? Take a look at the latest news from Elite Ju-Jitsu. Finn has been coming to ju-jitsu classes at Elite for over 5 years and thoroughly enjoys it. He has been taught great technique and discipline and has greatly improved his strength and coordination. He has great fun in the classes and looks forward to the social events. I can highly recommend this club! I would recommend Elite Ju-Jitsu and its leaders to any parent wishing to see their child develop their confidence, self esteem, fitness and discipline whilst having an absolute blast! Jack loves coming to his class, he looks forward to it every week, Norman and Andrea are fantastic with the kids, making the lesson fun enough to keep them all interested but also teaching discipline. Jack's confidence improved lots when he went up to white belt and also made us very proud! Konrad is always excited about Thursday afternoons. He learns lots, not only new ju-jitsu moves but also how to respect each other. I would recommend this for girls and boys as this is lots of fun as well as learning ju-jitsu. Interested in our services? Ready to train?